Last Saturday, 10 January, the 24th international run, the Road of Life and Death, dedicated to commemorate defenders of Lithuania's freedom, took place in Lithuania, Belgium and Ireland. Staff of the Ministry of Foreign Affairs also took part in the event. Minister of Foreign Affairs Linas Linkevičius and Lithuanian diplomats as well as participants of the run from Lithuania and foreign countries laid flowers on the graves of freedom defenders and honoured the national heroes by completing a 9 kilometre distance from Antakalnis Cemetery to Vilnius Television Tower. On the same day Lithuanians residing in Belgium as well as friends of Lithuania from various European Union Member States participated in the run organised for the second time in Brussels by the Permanent Representation of Lithuania to the EU, the Lithuanian Embassy and the Lithuanian community in Belgium. Lithuanian Ambassador to Belgium Gediminas Varvuolis and Lithuanian diplomats participated in the event. 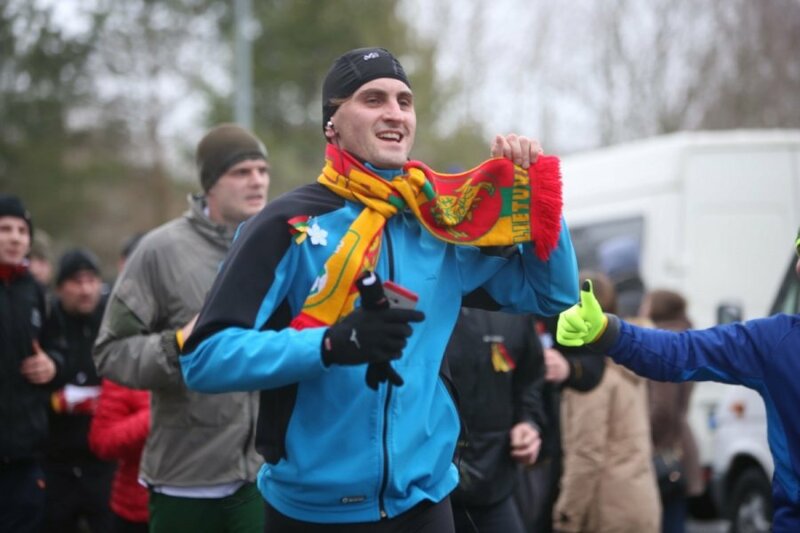 The Lithuanian Embassy in Ireland together with the Irish Lithuanian runners' club also organised a similar run on 11 January. The start and finish marks were at the Lithuanian embassy while the route ran along the Irish national television and the Government buildings. The Road of Life and Death run is held every January. It was organised for the first time in 1992 in commemoration of the first anniversary of 13 January 1991 events, when the Soviet Armed Forces used force against Lithuania's civilians with the goal to abolish Lithuania's independence.